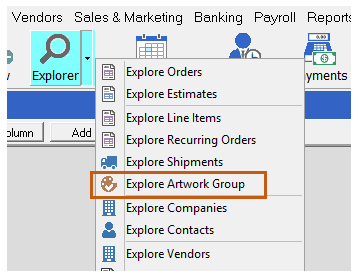 The Artwork Group Explorer displays a list of Artwork Groups and is visible in the explorer menus when artwork is enabled for the company. 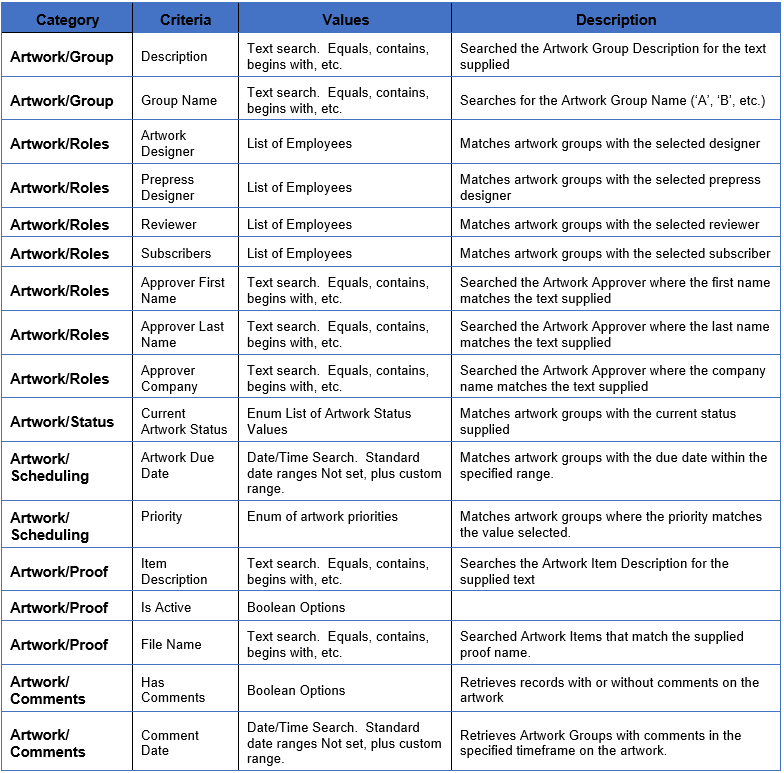 The Artwork Group Explorer column chooser shows the following columns. The checked columns are shown by default. One of the conceptual differences between the Artwork Group explorer and most other Explorers is how it handles child Artwork Items (and their Proof Files). The creation of sub-explorers for Artwork Items and Proof Files would introduce a level of nesting that most users would find confusing and unhelpful. Further, it would clutter the screen with 2 (or 3) Explorers for artwork. 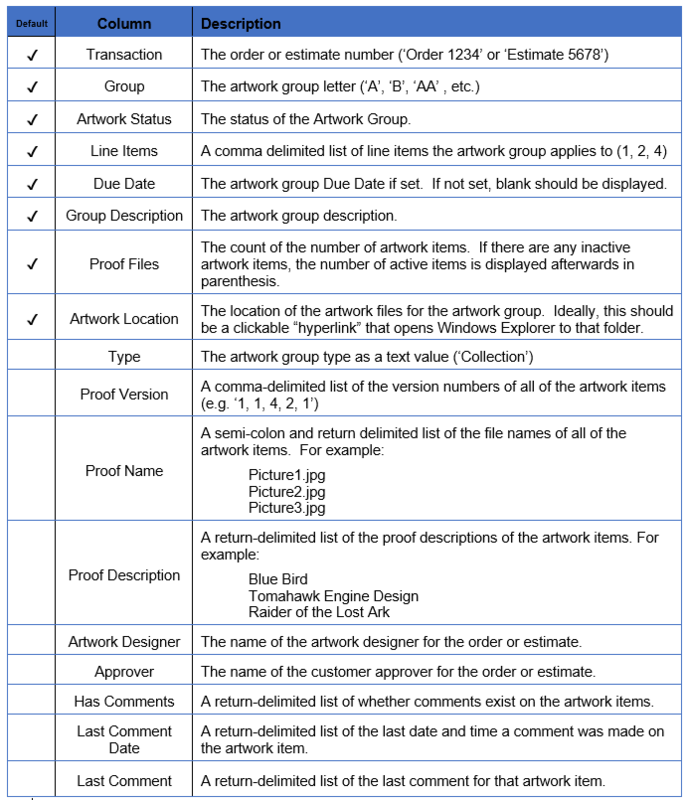 The explorer row height is automatically set to accommodate the number of proof files if any of the artwork item or proof information is displayed. 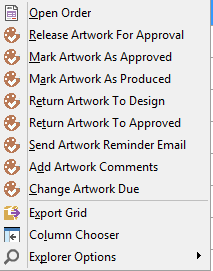 Right-clicking on an Artwork Group in Explorer displays an action menu specific to the artwork group selected. That current status of the artwork. The band of the artwork. The statuses enabled in artwork setup. The user and her/his security rights. 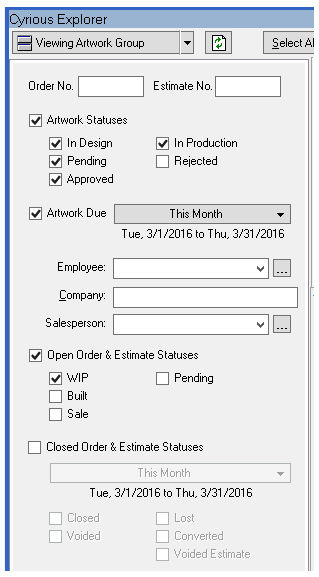 The status of the order or estimate. 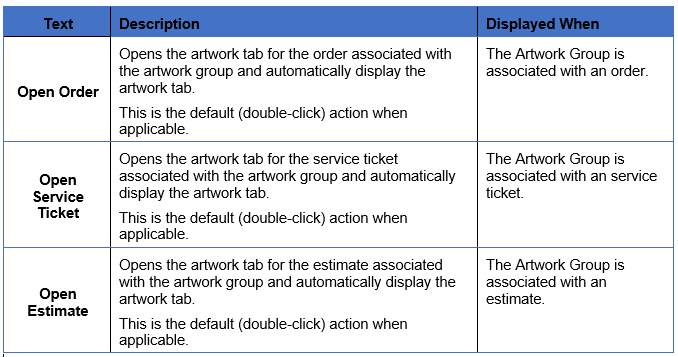 In addition to the standard actions for artwork groups, the following actions are also included in the right-click pop-up menu. In addition to the inclusion of a new Artwork Explorer, several existing explorers have been tweaked to reflect new features in the artwork approval system. The order and estimate explorers have the following new columns. None of these columns are enabled by default. 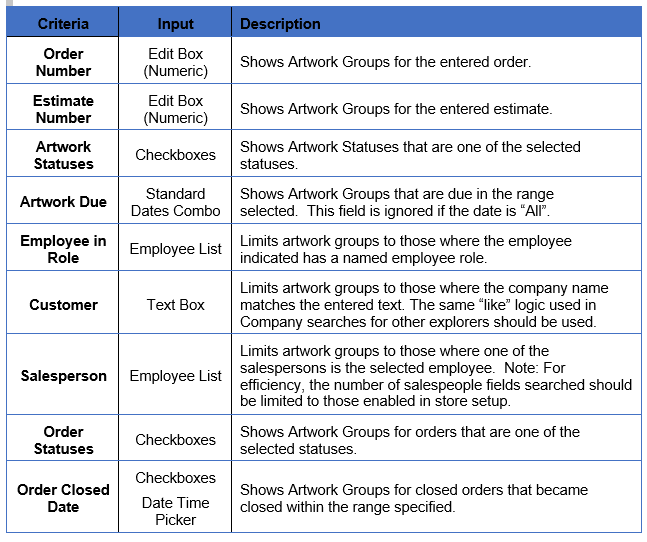 The company explorer has the following new columns. None of these columns are enabled by default.